A strong and unpleasant smell, described initially as like smoke but later said to resemble chemicals, led Tigerair flight TT511 from Brisbane to make a priority landing at Melbourne Airport yesterday morning. Crew aboard the A320 reported the foul odour in the cockpit cabin. It is now being investigated. 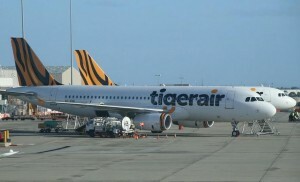 Tigerair, in a statement, said: “A Tigerair service from Brisbane to Melbourne (TT 511) landed safely at around 10.05am today without incident at Melbourne Airport after an unusual odour was detected in the cabin on descent. “Emergency services were on standby to meet the aircraft in Melbourne, which is standard for an event of this nature,’’ the airline said. Tigerair said the flight was given “priority landing” and all passengers departed in the usual manner. Paramedics assessed four cabin crew as a precaution. All were given the all-clear and no treatment was needed. Ambulance Victoria confirmed that its paramedics – responding to the “hazmat incident” – checked four people, Melbourne’s Herald Sun reported. The Australian Transport Safety Bureau (ATSB) would investigate the evil smell, Chester added.